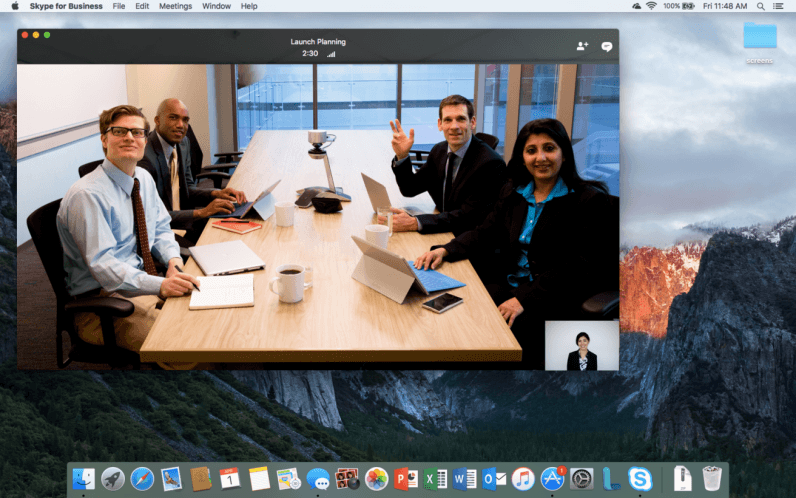 Skype for Business is finally coming to the Mac. Microsoft today announced that IT administrators can request an invite to preview the service before a wider release in the future. The tool is fairly limited in its initial preview; you an only view and join meetings as shown on your Outlook Calendar. Once you join a meeting, you can do some basic chatting and invite others to the meeting. Microsoft says that more features will arrive in phases. A first wave during the early summer will add instant messaging and contacts, while the third phase will add “telephony and related features” later in the summer. Business can sign up to try out Skype for Businesses on their Macs at www.SkypePreview.com.